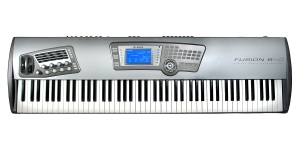 The new model Triton Extreme 88 has a set of new high-quality sounds, built-in tube processing circuit, built-in USB interface, the ability to burn CDs and many other new features. 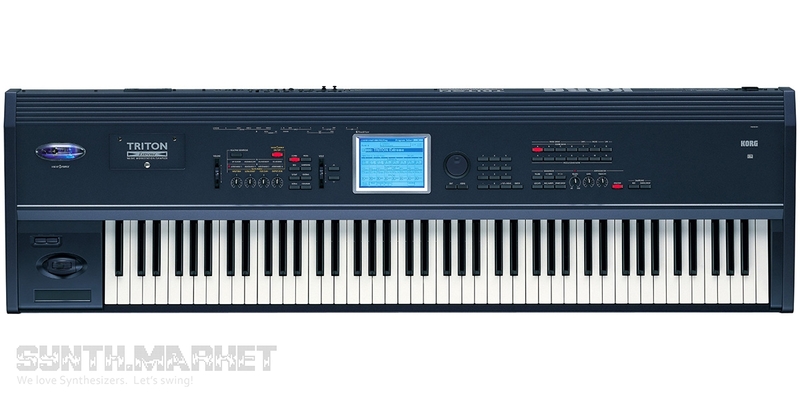 The instrument offered 160 MB of internal sound memory which comprised a rich set of high-quality samples, including: guitars, woodwinds and brass instruments, choirs, concert grand pianos, organs. 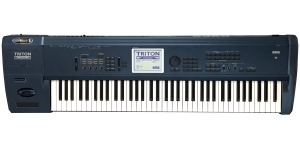 Triton Extreme 88 has 15 1536 editable patches (1344 factory ones), 144 editable drum kits (50 factory ones), 1536 editable eight-part performances (1280 factory), 256 patches and 9 drum kits compatible with General MIDI Level 2. 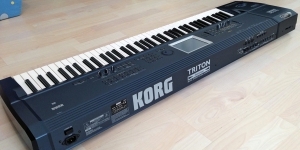 The unit features a 120-voice polyphony due to twin tone generators. 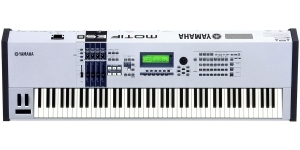 There is also a powerful effect processor, a 16-track sequencer, two polyphonic arpeggiators, USB and Compact Flash ports for data exchange. 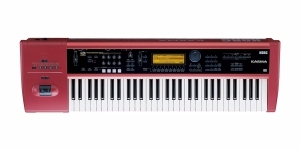 Mono or stereo sampling with a 16-bit resolution and 48 kHz sampling frequency is supported. 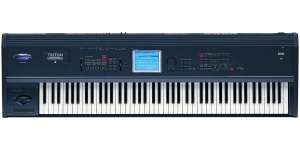 The original memory capacity of 16 MB of RAM is increased to 96 MB by installing three 72pin SIMMs. 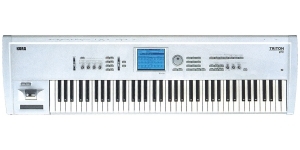 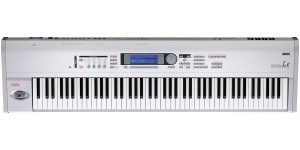 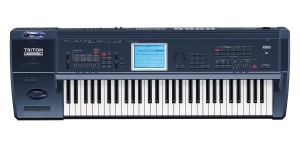 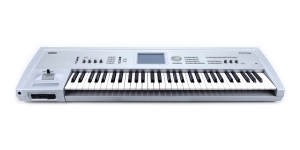 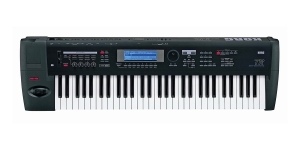 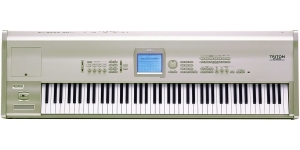 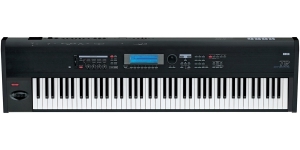 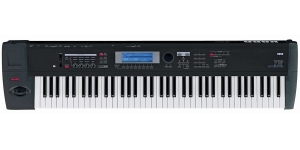 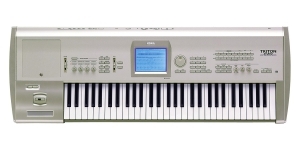 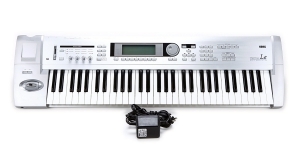 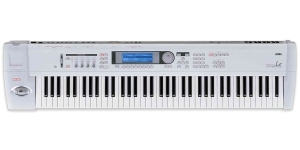 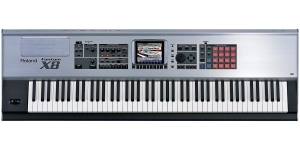 The keyboard is dynamic, with aftertouch, weighted, piano type. 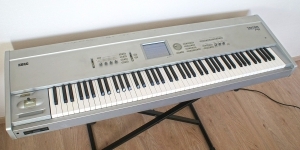 Synthesizer, Workstation, Performance Synthesizer, Digital (D), Voices: 136, Multi Timbral Capacity: 32 part(s), Oscillators per voice: 3, Number of Keys: 88, Size: 7.5, Velocity Sensitivity, Aftertouch.